Builders GB can help you with your Loft Conversion Plans. 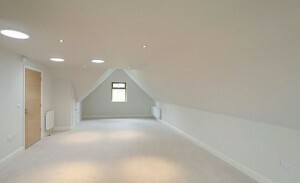 Our Architects can give you some helpful ideas in fully maximising the space that is available in your attic/loft area. Before a Loft Conversion is constructed a good set of plans/drawings are needed. These will include many pieces of information about the new Loft Conversion. Plans for a Loft Conversion include details of how many Steel Beams will be installed together with details of their exact locations and sizes. Window positions and staircase details would also be included. Height heads and the new rooms area and other measurements will also be clearly shown. There are a number of things that you need to be sure of before having the Architect draw plans for your home that are listed below. If you have decided on the points below then your Loft Conversion Plans will be much easier to draw up and will include well thought out ideas that are contributed by yourself. An Architect can also help in this area if you are not sure of all the details. Do you need an en suite or a separate bathroom. 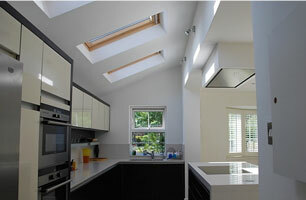 Builders GB are the number Loft Conversion Specialists in London. We can help you to make the perfect Loft Conversion that will not only compliment your home but will at the same time add real value. Pound for pound a London Loft Conversion is the best investment any property will make. When Builders GB build your Loft Conversion we provide you with a full and complete Design and Build service. Our Architects will visit your home. During the visit they will discuss the various options available to you. 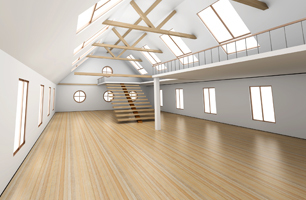 They will discuss every available style and design of Loft Conversion available for your house. We will then compile set of detailed Loft Conversion Plans that will include all the information about your new Loft Conversion as written above. The height of the Loft Conversion is important. 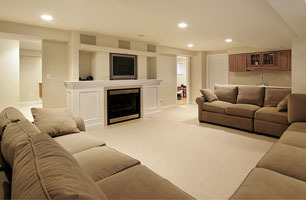 To achieve a height in a Loft area that has minimum head height is still possible but some extra work may be required. At Builders GB we are masters at converting Loft Conversions that are built within low lofts. We use a number of techniques to achieve the right height. The Building Control Department are handed a few copies of the Loft Conversion Plans together with the Structural Engineers Calculations. Don’t worry it’s not as hard as it seems. Builders GB can help you to plan and build your new Loft Conversion easily.